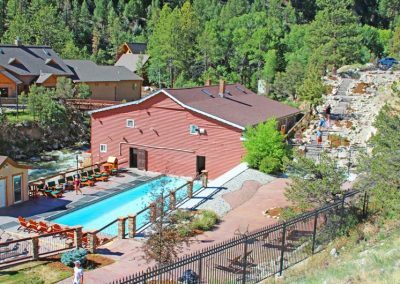 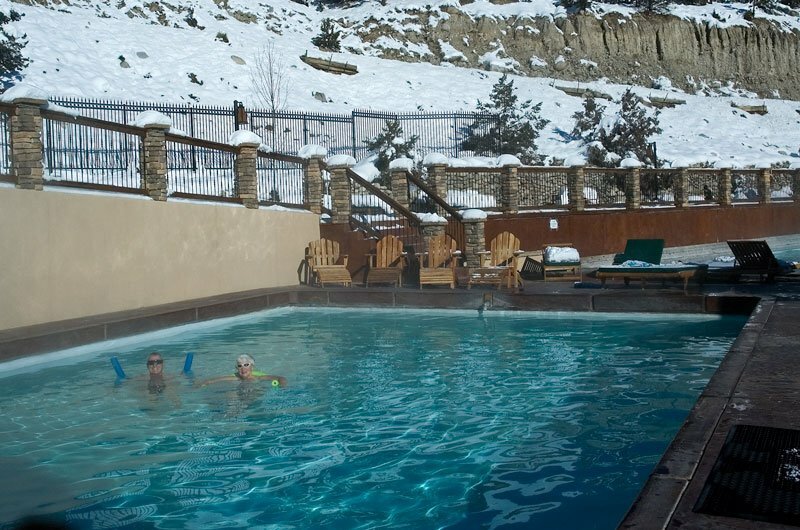 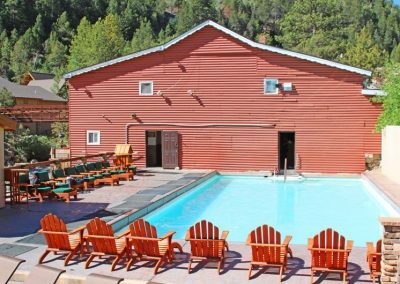 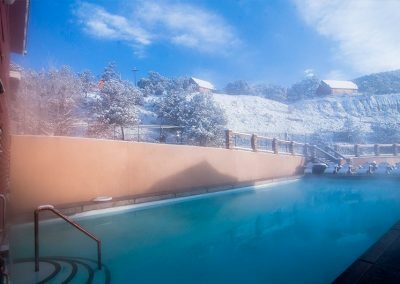 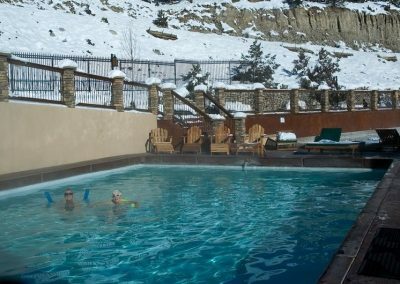 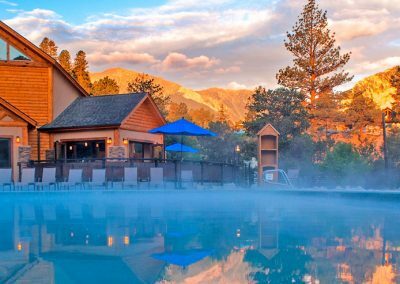 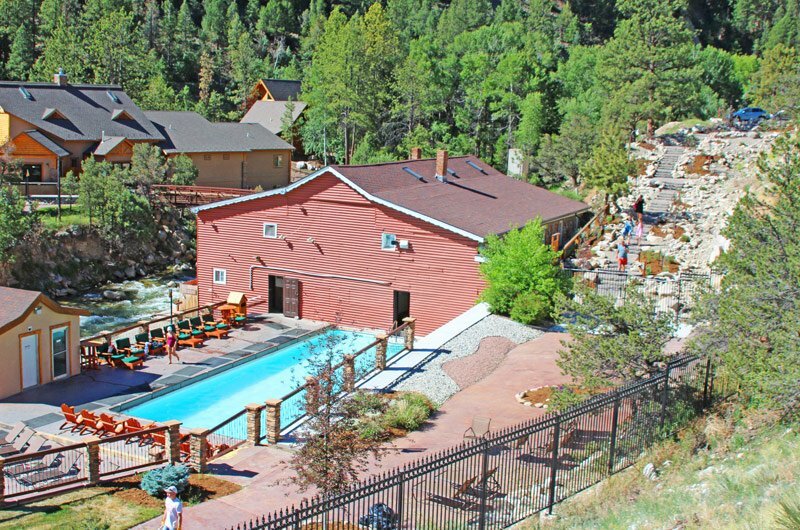 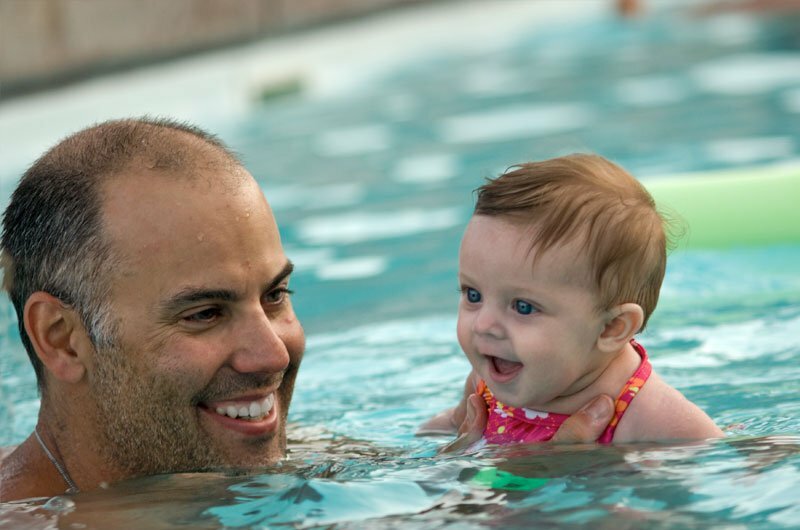 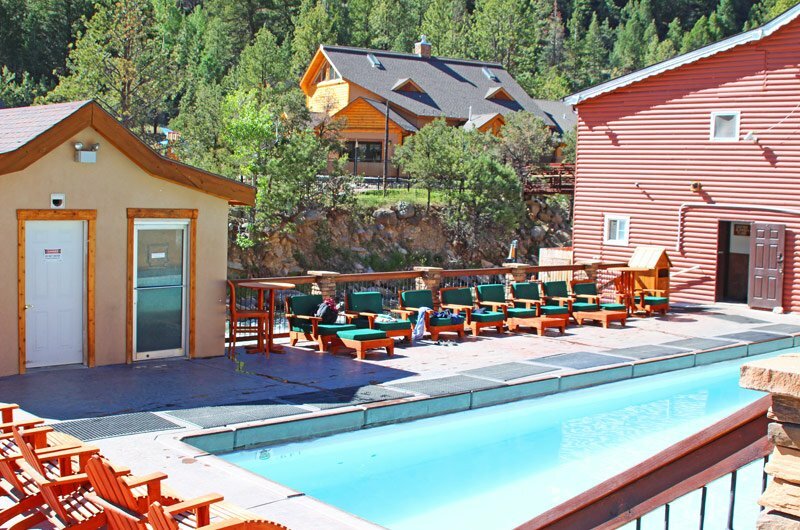 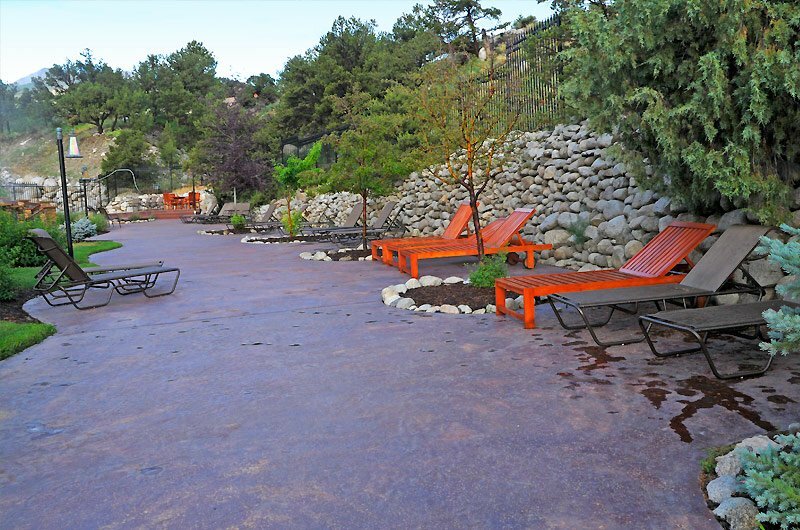 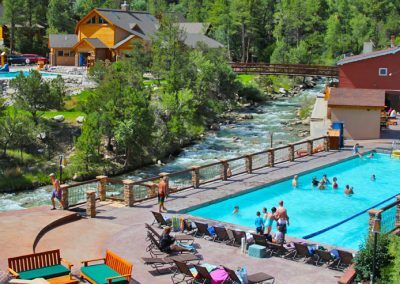 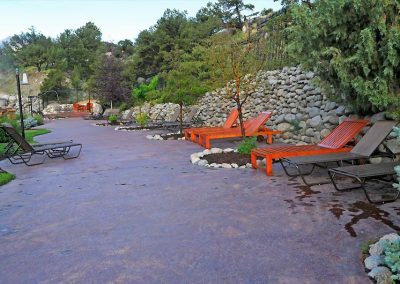 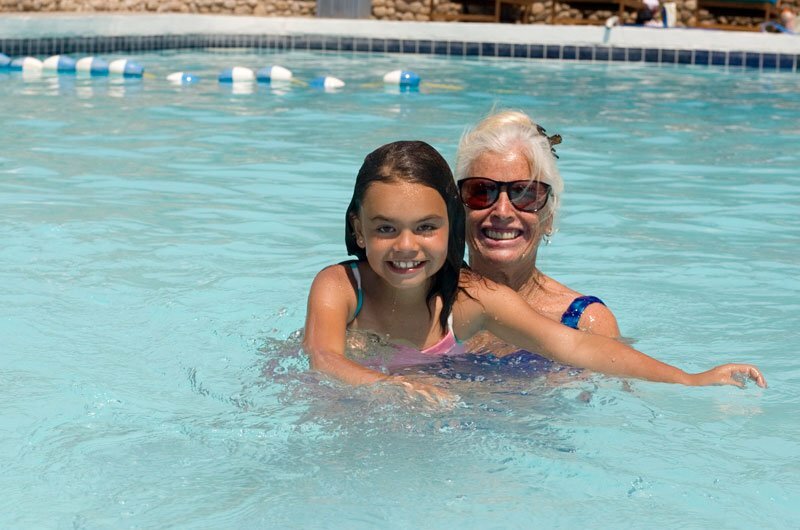 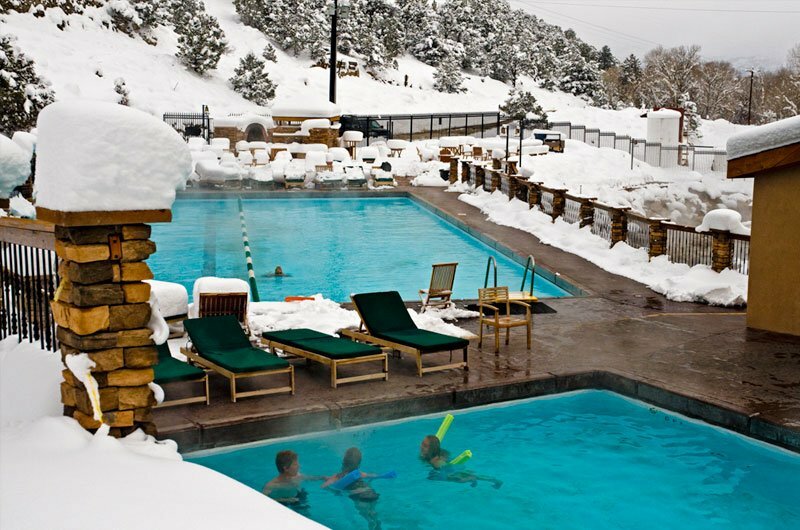 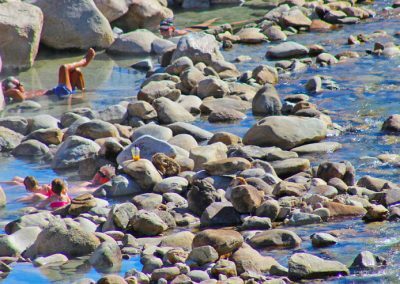 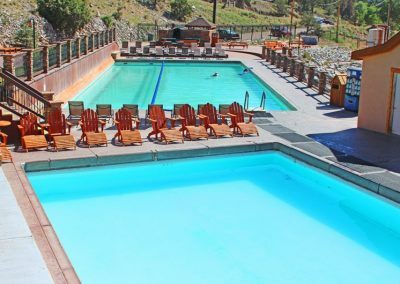 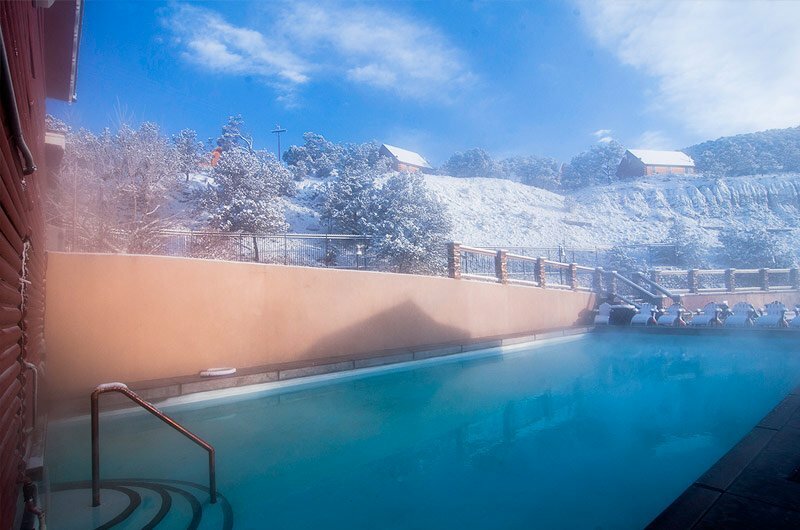 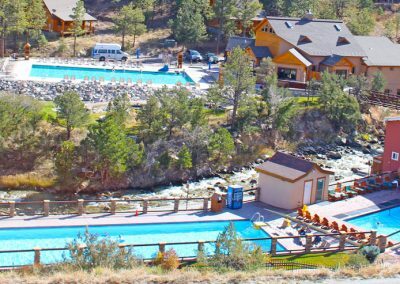 The soaking pool next to the Historic Bath House is one of the most popular pools at Mt. 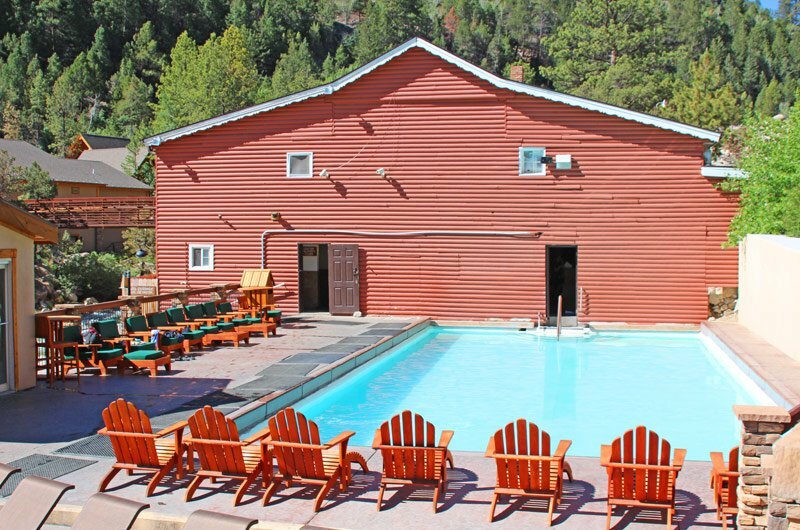 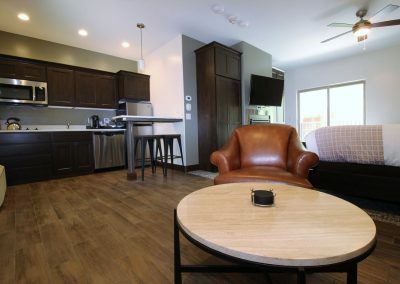 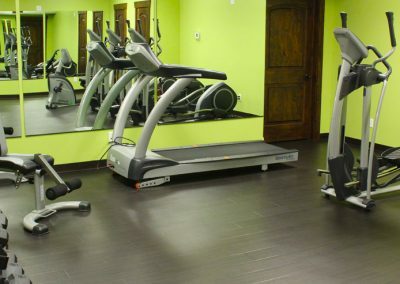 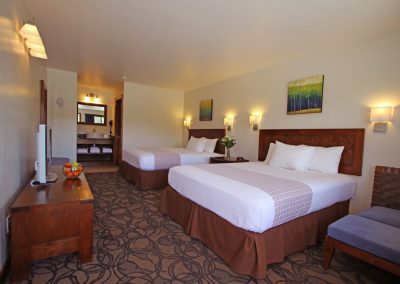 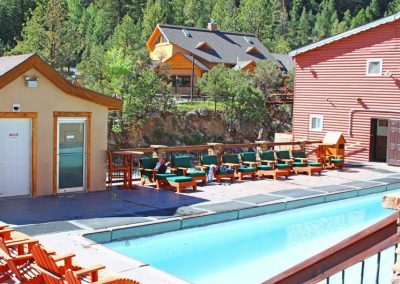 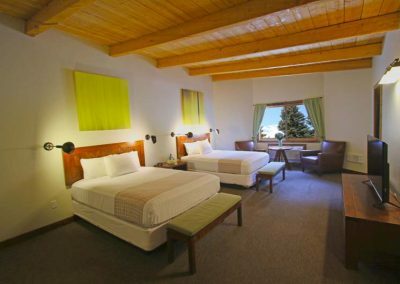 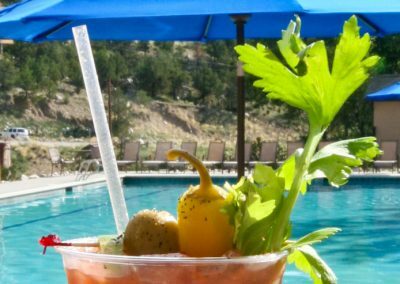 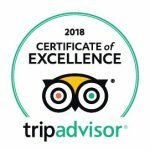 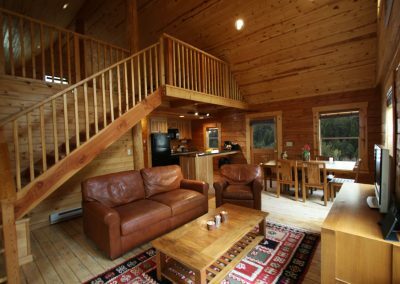 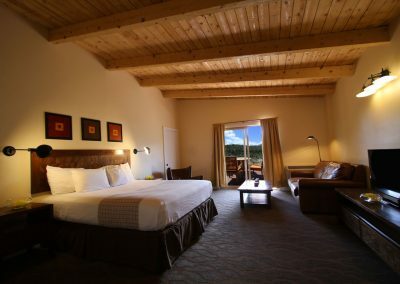 Princeton Hot Springs Resort. 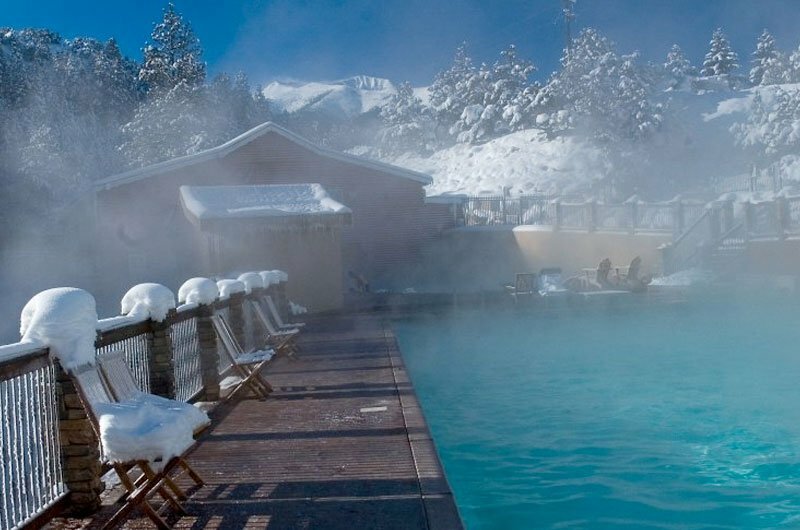 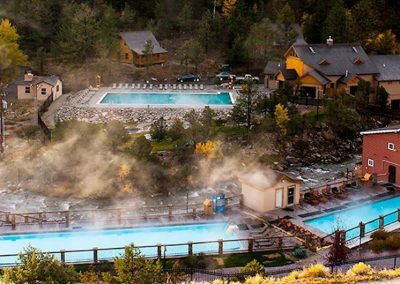 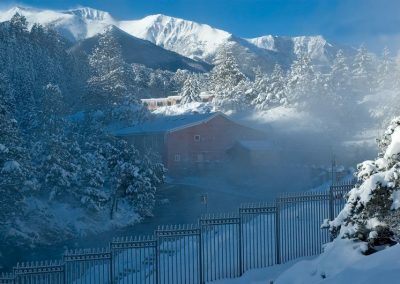 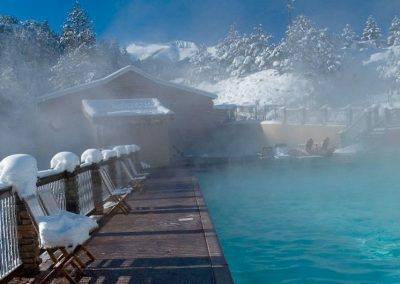 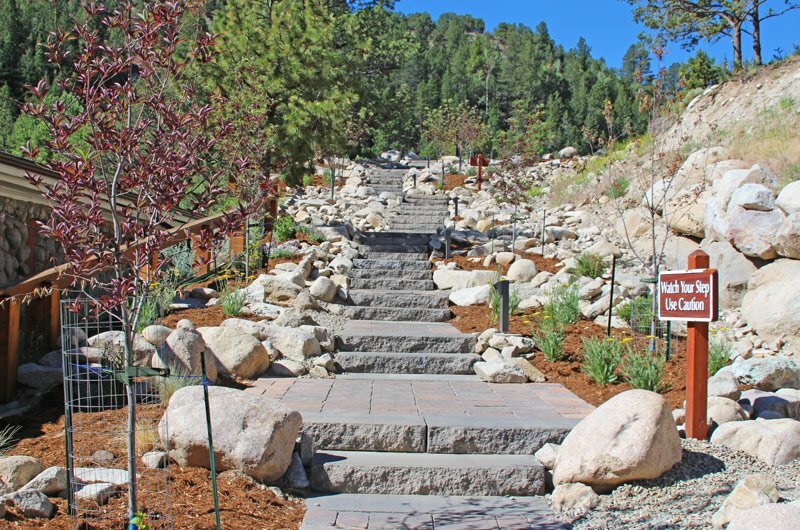 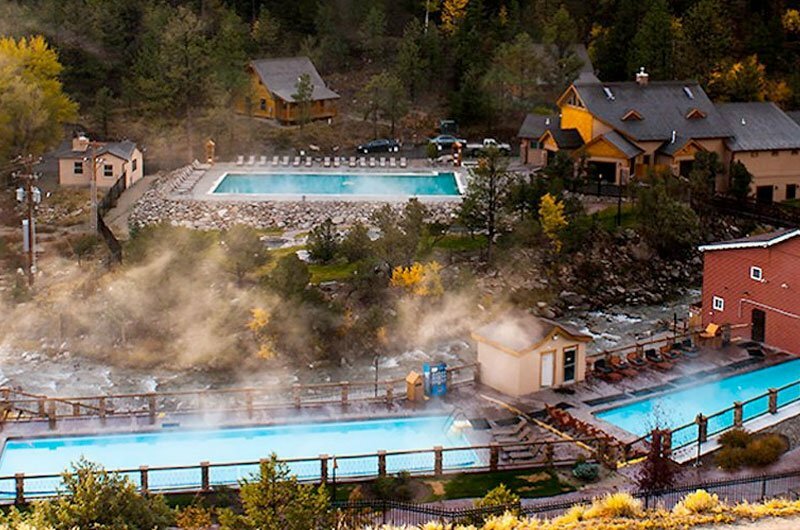 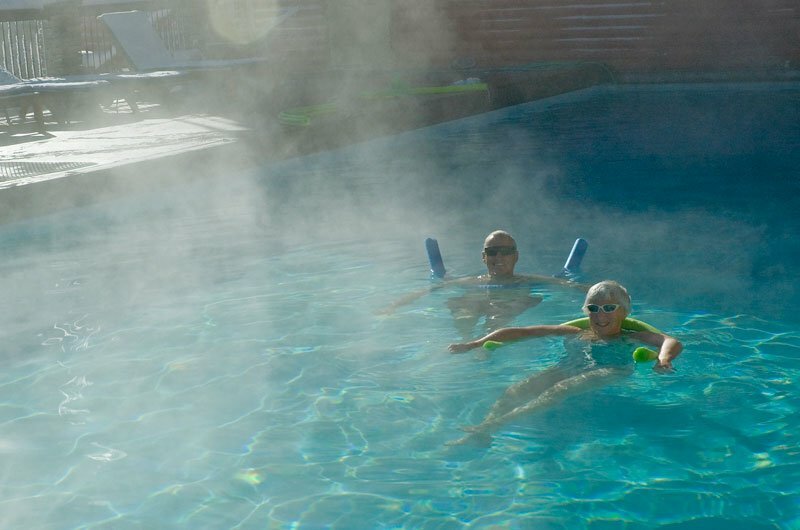 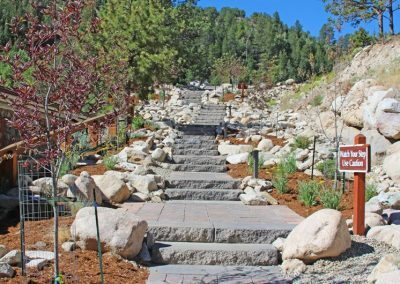 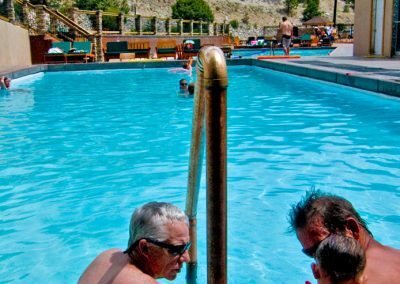 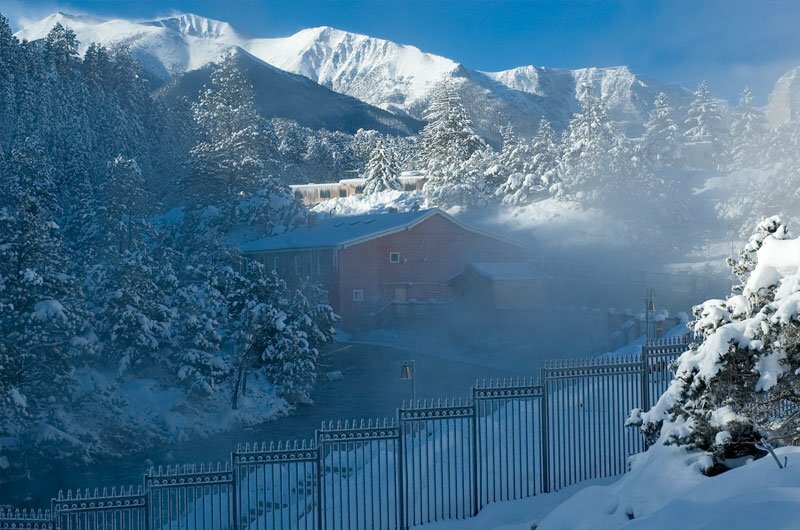 The hot springs soaking pool is typically kept about 105 degrees Fahrenheit. 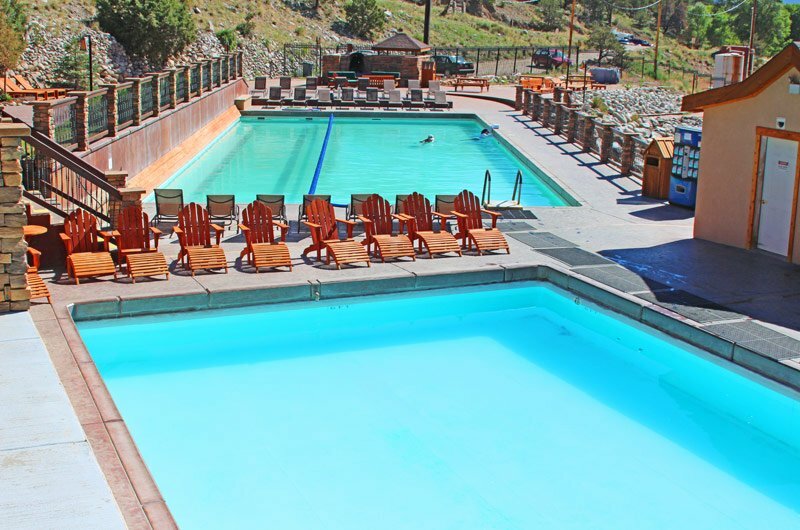 Situated along side of the Chalk Creek this pool has plenty of comfortable beach chairs making this the perfect place to relax with the kids and spend the day.